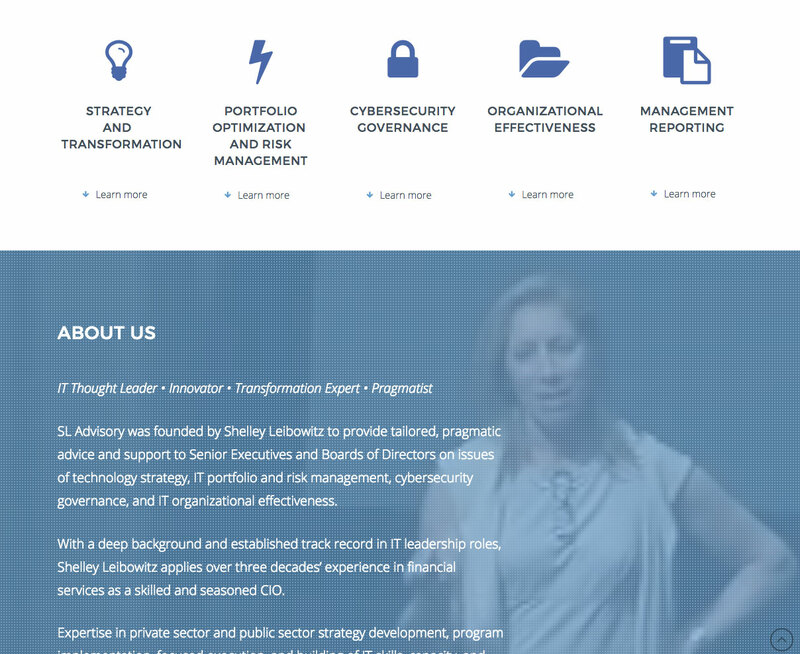 We were hired by the former CIO of World Bank, Shelly Leibowitz, to build a website for her new firm, SL Advisory. The company did not have a web presence, so we built from ground zero, including branding. 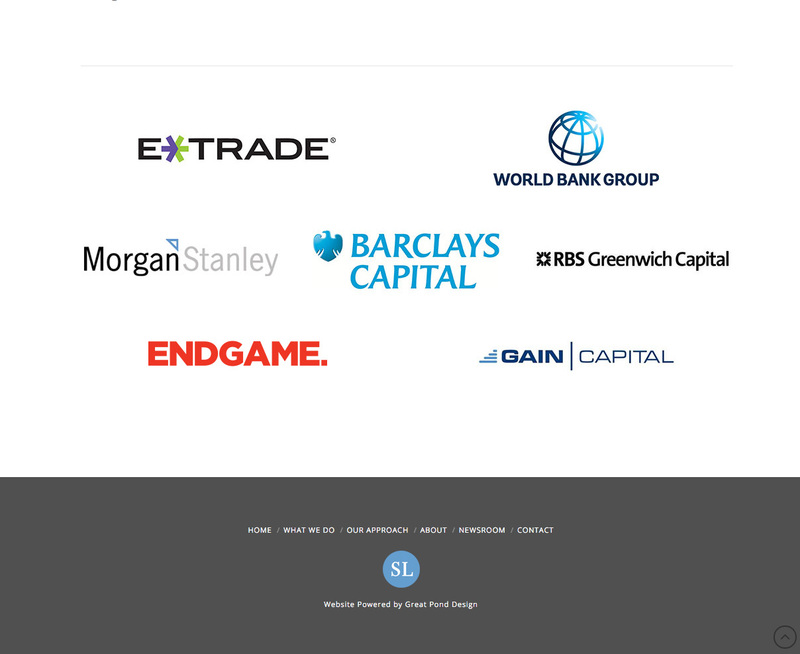 The outcome is a modern, responsive website that’s flashy, but not too flashy. 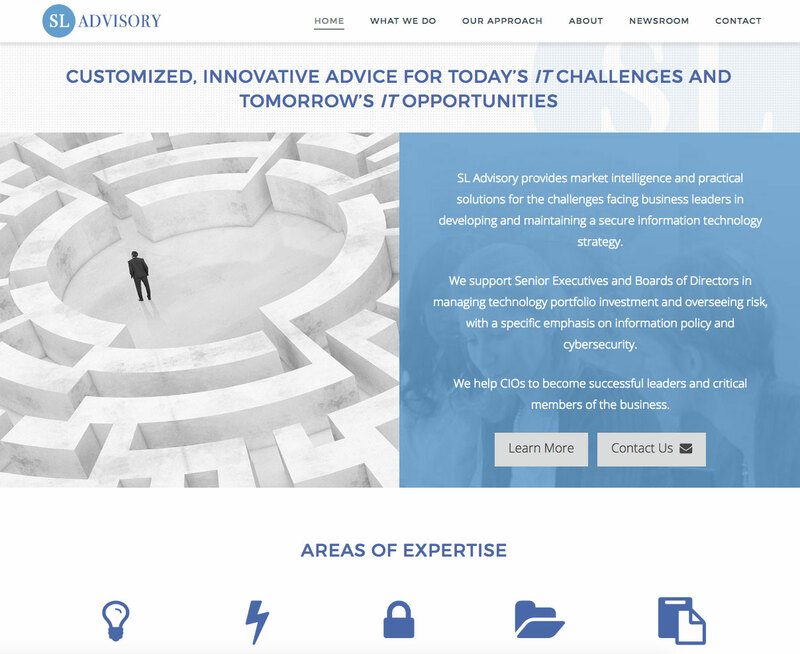 The light color scheme compliments the branding and it’s an extremely easy site to navigate.